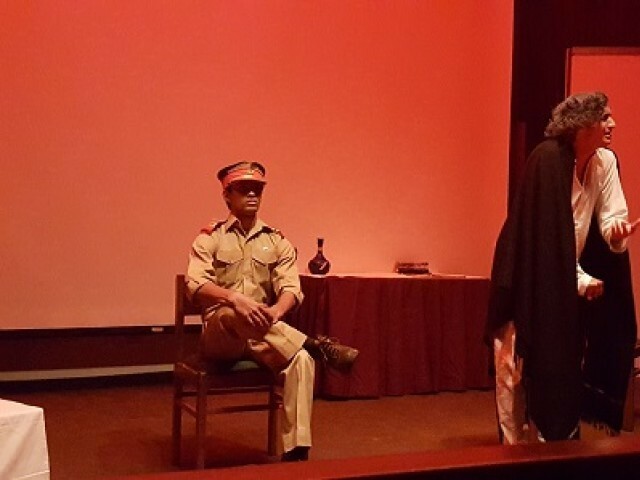 KARACHI: Dialogues interspersed with laughter from the audience at Aga Khan University’s packed auditorium on Monday while watching a play on dementia. Watching attentively, there were many moments of silence where audience found itself relating to the pain of having seen a loved one go through the ordeal of dementia. The play, ‘Main Bhool Gaya’, was created by Patronus Theatrics, which is a production group run by students and faculty of AKU. It was aimed at raising awareness about dementia and the story showcased a family’s struggle in caring for an elderly father suffering from the disease. Dementia is a disease that mostly affects the elderly, but can also be triggered due to other factors or ailments. It can often go unnoticed by family members and health professionals in Pakistan. Often, the signs of dementia are misconstrued as being ‘a normal part of ageing’. Patients of dementia forget not just words, but a sense of time and whether they are in the past or in the present. As it is a progressive disease, the patient starts forgetting basic physical functions overtime. While it is painful for the patient, it is equally difficult for the family and caretakers who often do not understand how to handle the situation. The play portrayed how a family struggled to tackle the issue, particularly the daughter who was most sincere in her service to her aging father. AKU Department of Family Medicine Associate Professor Dr Saniya R Sabzwari was the executive producer and wrote the script, along with Kumael Azhar and Ibrahim Sajid. At the end of the play, she expressed the importance of spreading awareness about dementia. “Humourous moments have been added to the play to give the audience a breather,” said Dr Sabzwari, explaining that the topic of dementia can be depressing. The play was directed by Sunil Shanker with Maeen Abbas as the student director and Kaleem Ahmed as the student producer. The actors received a thunderous applause at the end, particularly Azhar, who acted as Colonel Haidar, a man who began to forget who he is, yet was kept company by a younger version of himself in his world of alternative realities. Dementia, as the play highlighted, is not just about ageing, but is a disease that needs to be understood, as does the plight of both the patients and the caretakers. Plays like this are integral in raising awareness and educating society about the care of the elderly and creating a more inclusive society. Posted in Health, Human Rights and tagged AKU, Alzheimer's, caring for the elderly, Dementia, Express Tribune, Theatre. Bookmark the permalink.